All Pest Services provides top-quality bed bug inspections and removal services. With years of experience in the pest-control industry, we’ve developed a reputation for our fast, effective, and permanent solutions for all bed bug infestations. Our services are available for both commercial and residential customers. If you have an infestation, you need a quick and thorough treatment that gets rid of your problem for good. You need All Pest Services. When you have a bed bug infestation, you need a pest-control expert you can trust: a professional who will eliminate your problem and stop future infestations from occurring. We strive to demonstrate those qualities during our in-depth inspection process. When you contact us, we’ll offer a complete inspection of your property and your belongings. We’ll identify the source of your infestation and explain to you how we’ll get rid of it. We’ll also work with you to develop a pest-management strategy that prevents future infestations from occurring. That way, you can rest assured that your property will remain free from bed bugs, for good. We combine state-of-the-art technology, skill, and expertise to eliminate your problem quickly and completely. We offer a combination of treatment options—including heat and chemical treatments—that are affordable and effective. We’ll take immediate action to secure your property and ensure that your problem is taken care of as quickly as possible. We do all the work ourselves. You won’t have to worry about us outsourcing our treatments to third-party pest-control experts, or asking for your assistance. We take the stress off your shoulders so that you can go on with your day-to-day schedule disruption-free. We are also committed to respecting your privacy. We understand that bed bug infestations can be a source of anxiety and embarrassment. For that reason, we carry out all our treatments discreetly. With us, you won’t have to worry about your neighbors finding out about your problem. We are happy to offer a follow-up consultation after we’ve finished our treatment. We’ll check your entire property to ensure that your home or business remains pest-free. In addition, we’ll discuss with you how you can protect yourself from future infestations. We’re all about helping you stay worry-free. We’ll make sure that your problem is gone for good so that you can sleep safe and sound. At All Pest Services, we know that nobody wants bed bugs in their Lee Summit home. That is why we work diligently to make sure that every home we work in receives our utmost care and attention. We know that bed bug removal is a job that most people can’t do. We also know that when we receive a call for our service, optimal results are expected. So, if you want a convenient, affordable and effective bed bug removal team that will deliver real and lasting results for your home, then you shouldn’t look any further than us at All Pest Services—we promise you won’t regret it. What you need to know about bed bugs is that they are small, brown and oval-shaped insects that live off the blood of humans or animals. Normally adult bed bugs are flat and about the size of an apple seed. However, after eating, they flesh out and often turn red too. Unlike other insects, bed bugs cannot fly but they can move swiftly over walls and ceilings. On top of that, the real danger of bed bugs is that females are capable of laying hundreds of eggs during birthing season. One of the biggest misconceptions about bed bugs is that they transmit disease—this is not the case. However, they still remain a nuisance that need to be removed at the earliest possible opportunity. Bedbugs will often enter your home undetected through luggage, clothing, used beds and couches, and other items. Their flattened bodies make it possible for them to fit into the tiniest of spaces, often no wider than the width of a credit card. 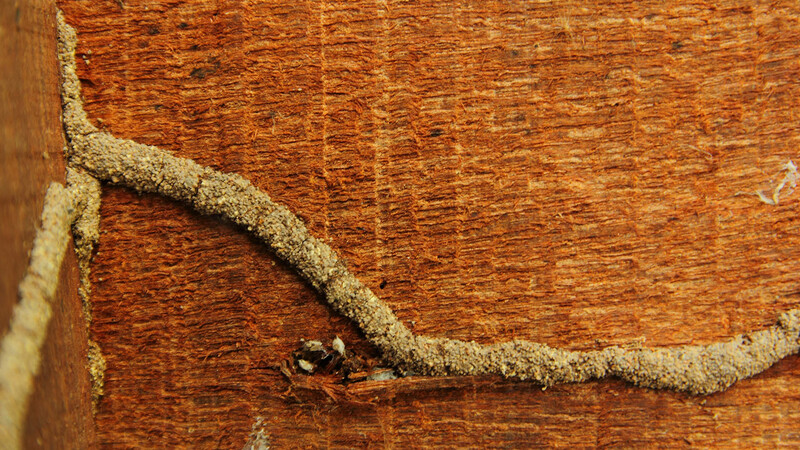 Unlike ants or bees, bed bugs do not build nests but rather tend to live in groups in hiding places. Their initial hiding places are typically in mattresses, box springs, bed frames, and headboards where they have easy access to people to bite in the night. All Pest Services knows that few pests are more distressing and intrusive than the dreaded bed bug. We take action swiftly, using the best and most effective methods, to destroy the bed bug population that has been living rent-free in your home. Knowledge is power, and for that reason we at All Pest Services have compiled the following general information about bed bugs. It contains everything you need to know (although might not want to know) about bed bugs. 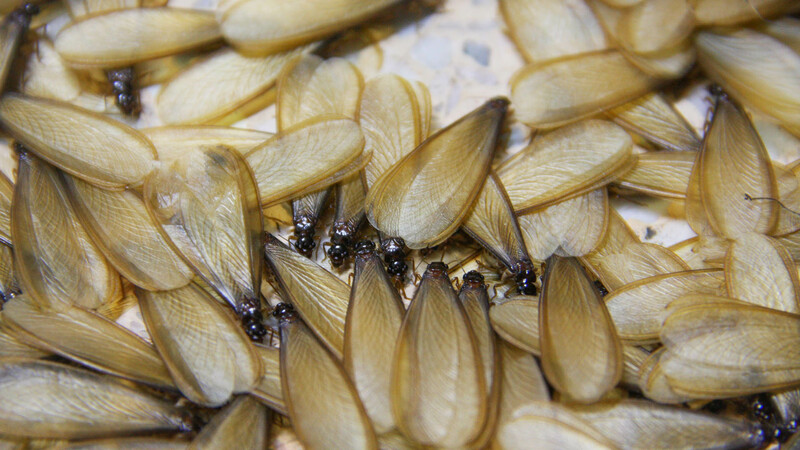 At the first sign of an infestation, contact All Pest Services for quick, meticulous action! This is a difficult question to answer. Bed bugs must be introduced into an environment—they never make their way into a space themselves. While they don’t fly or jump, they are notorious hitchhikers. They can be transported in clothing, luggage, furniture, and other objects. They are frequently brought into someone’s home after they’ve spent the night at a hotel, camp, dormitory, or someone else’s home. There will be several indicators that bed bugs have set up territory in your home. The first and most obvious way is by observing them. Though they’re extremely small, bed bugs are visible to the naked eye—however, they are frequently hidden, particularly during the day. Other signs of bed bugs is dark spottings or droplets on a mattress, bedsheet, or pillow. This is waste product excreted by the bed bugs. A less pleasant sign is on your own body. Bed bugs can cause bites, welts or rashes on human skin. These frequently appear in rows or clusters. While bed bugs don’t carry diseases, humans have been occasionally observed to experience allergic reactions to them. What Are the Methods for Removing Bed Bugs? Bed bugs are a notoriously difficult pest to remove, and we do not recommend attempting to do this yourself. With years of experience and expertise, All Pest Services uses powerful, proven chemically based methods to destroy bed bug populations. You can be sure that these products are safe for use in your home and for your family. We use the latest, most efficient insecticides on the market today. Other common methods include container heat treatments, steam treatments, or freezing certain infested items. These can reduce the amount of insecticides required to treat your infestation. How Can I Help to Prevent an Infestation? Given our tendency to travel and move, it is nearly impossible to fully prevent the introduction of bed bugs into your home. However, there are preventative measures you can take. When travelling, be sure to read hotel reviews to ensure that bed bugs are not an issue. Upon arrival at the hotel, inspect the bedding, mattress, and headboard before unpacking any luggage. It’s also wise to periodically inspect your luggage and possessions when travelling. Avoid purchasing second-hand furniture or inspect any second-hand furniture you do purchase with extreme care. For extra protection, bed bug proof encasements can be purchased and attached to a bed. At All Pest Services, we know our pest control services are second to none. We are confident that you’ll be satisfied with our affordable prices and our effective treatment solutions. In fact, we guarantee it! We offer a 100% customer satisfaction guarantee on every job we undertake. If you’re not satisfied with our services, then neither are we. Reach out to us, and we’ll be happy to work with you to fix your problem, whatever it may be. Try our services. We know you’ll be satisfied. It’s our guarantee. 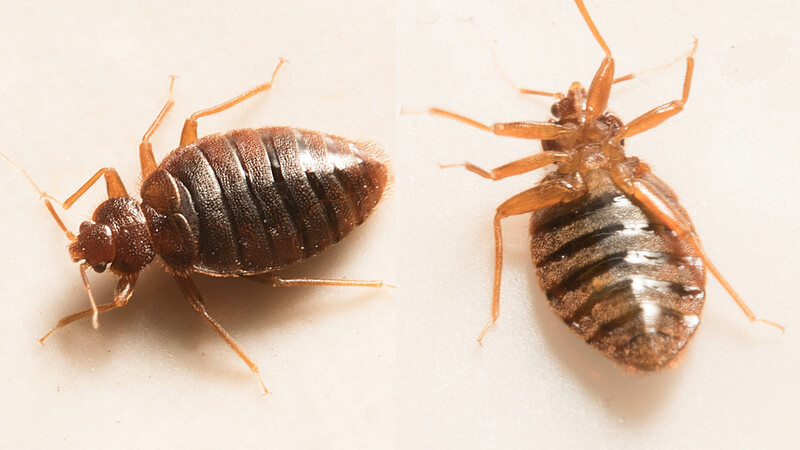 If you want a bed bug removal team in Lee Summit that will take care of the job the first time around, then you need to call All Pest Services at (816) 220-1211. Our commitment to excellence is second to none and we will make sure that this nasty surprise is wiped out in no time at all.